Mary O’Rourke worked as a secondary school teacher before she began her political career, which began in local politics. 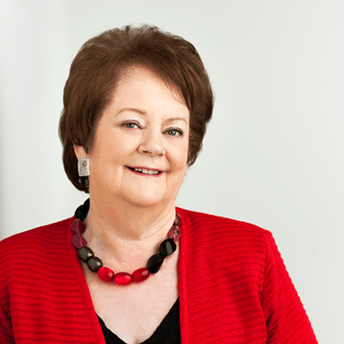 Having served on Athlone Urban District Council, Westmeath County Council and in Seannad Éireann, she was first elected to the Dáil in 1982 as Fianna Fáil TD for Longford Westmeath. Since then, Mary has served as former deputy leader of Fianna Fáil, She has also held a number of senior Cabinet positions, including Minister for Education, Labour, Health and Public Enterprise. She has also been Leader of Seanad Eireann and is a frequent guest on radio and television. In 2012, Mary’s memoir “Just Mary: My Memoir” was published. The number 1 best-seller won the Listeners Choice Award at the 2012 BGE Irish Book Awards. In her memoir Mary describes life as a woman in the male world of politics, the sexism she sometimes had to deal with, and the difficulties of balancing her busy career with raising a family.